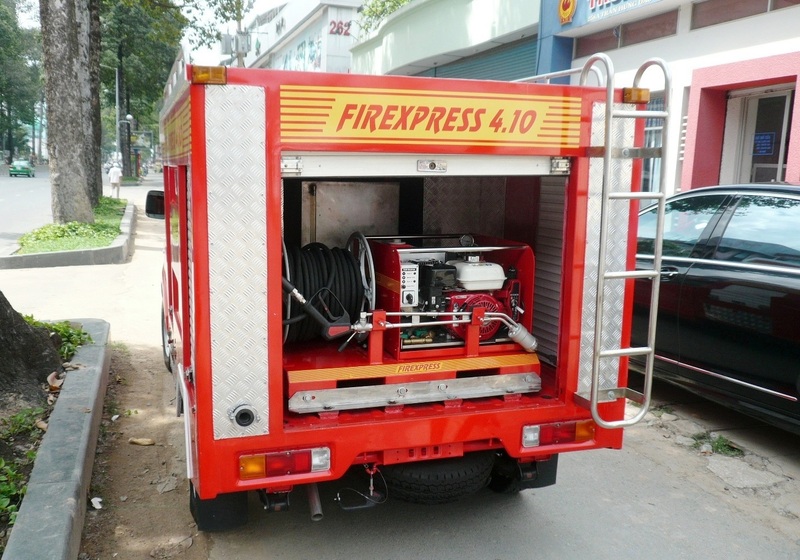 As the advantages of small water drops is getting wider recognized globally and fire brigades realise the many advantages of the Firexpress technology compared to other fog systems, more and more fire brigades around the world add Firexpress systems to their pool of fire fighting equipment. As fire brigades and civil defence forces have to fight fires under many different circumstances, they need different types of equipment, that each is the optimal solution for various situations. The entire product range of Firexpress is therefore used by fire brigades all over the world. The Firexpress pump driven unit (PDU) is today mounted in many normal fire engines and replaces the use of high pressure and high volume pumps for small and medium sized fires. The pump driven unit uses the main water tank of the fire engine as its water source for efficient use of already installed equipment. Various tank units with an integrated pump driven unit are built into light rescue vehicles as well as forward command cars as these often does not have capacity for a heavy duty pump and a large water tank. With a tank unit they are still able to fight almost all the same fires as a normal fire engine. The mobile unit is a replacement of a normal fire pump if there is limited space available, e.g. if the vehicle is fitting with a vast amount of rescue equipment. Fire brigades are not only responsible for fire fighting in urban areas but also in un- or scarcely populated areas such as forests and hilly areas. Normal wide paved roads are often not available but call for a special type of vehicle that can navigate rugged terrain. The Firexpress ATVs serve this purpose. They are also an obvious choice for fire protection in communities with narrow streets. Large cities experience frequent traffic congestions and four wheeled vehicles have problems getting through tailbacks. The Firexpress fire fighting motorcycle is able to get through the traffic to arrive at the fire scene very fast, and is e.g. in case of a fire in a tunnel the only type of vehicle that can get to a fire scene obstructed by queued or abandoned cars. A light rescue vehicle of Ho Chi Minh City Fire Prevention and Control Department with a petrol version of the pump driven unit. 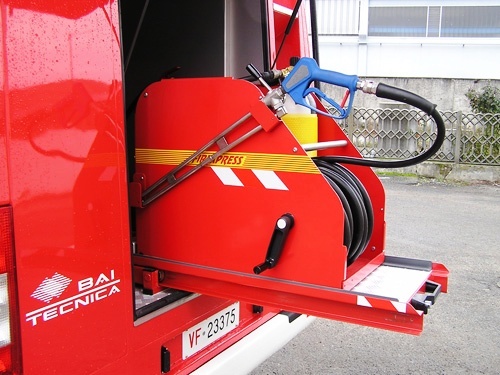 A mobile unit installed on a skid inside a fire engine in Brescia, Italy.